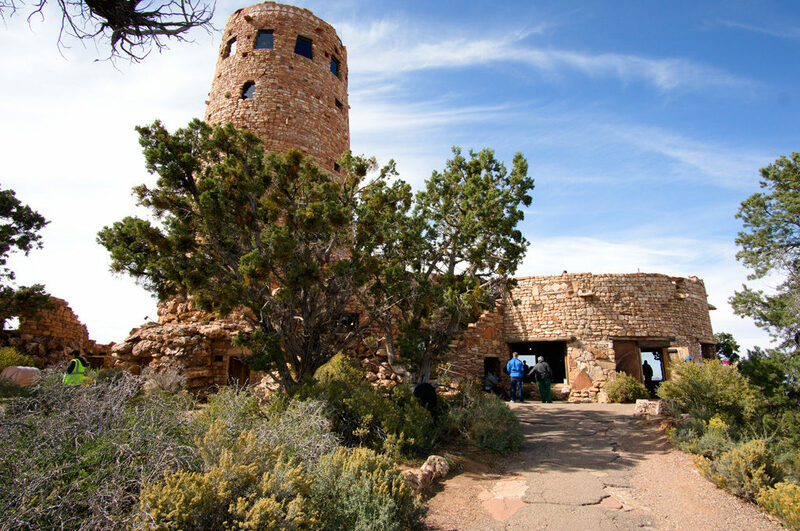 The last point of interest along Desert View Road at the South Rim of the Grand Canyon(going from West to East), is Desert View Watchtower. 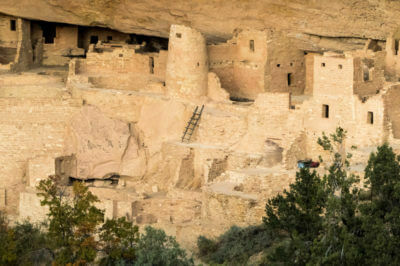 As the map below shows, the drive is about a half hour if you don’t make any stops–and there are plenty of viewpoints to stop at along the way, including the Tusayan Ruins Museum. 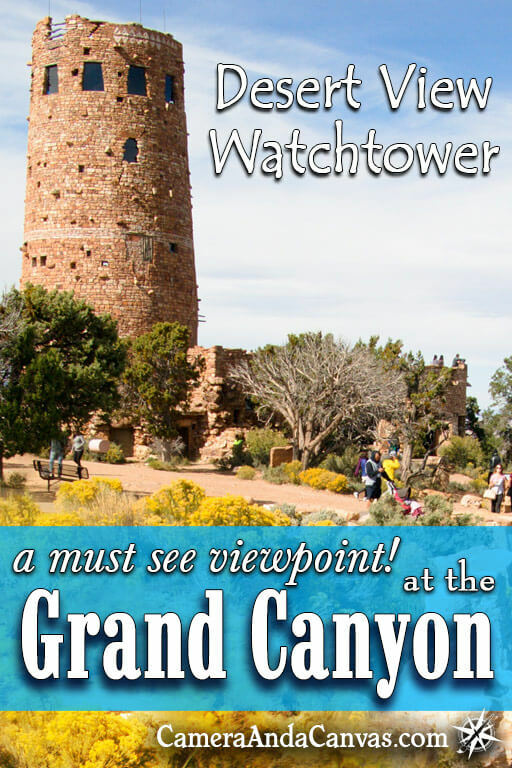 If you do stop at any of the points along the rim, you can often see the Watchtower in the distance. It looks like an ancient authentic tower built by the indigenous people. But as we found out when we got there, it was actually built back in 1932, kept in a natural looking style to blend in with the landscape and ancient buildings that used to exist here. 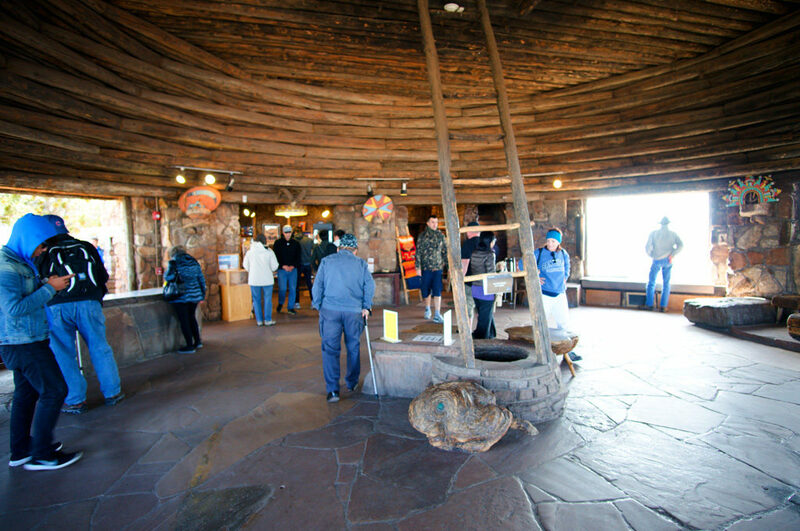 The whole area at Desert View is a nice stop for visitors, featuring a visitor’s center, little gift shop and café, even a gas station and campground! 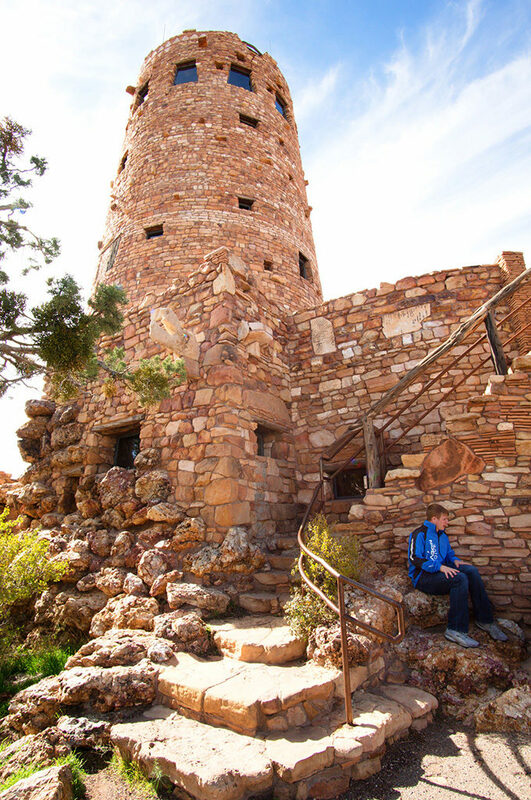 The whole tower is a work of art, both inside and out. 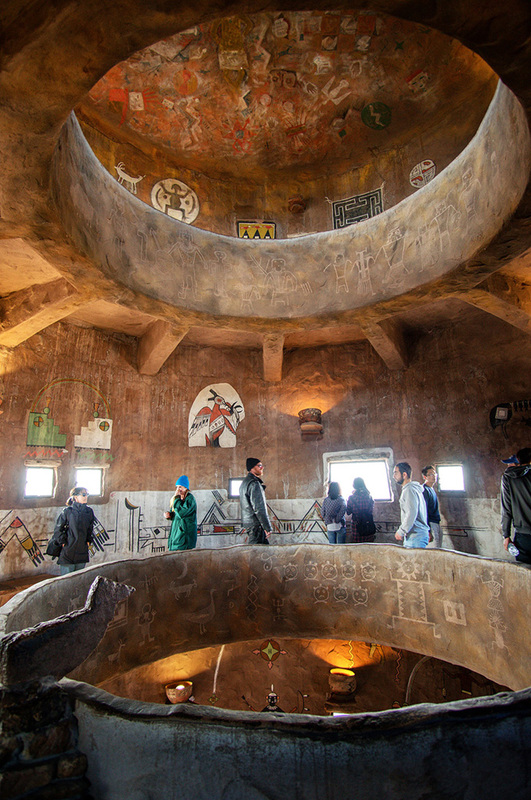 It was designed by Mary Colter, who also created the designs for Hermit’s Rest, Lookout Studio, and renovations for Bright Angel Lodge, all within the park. She was very picky and precise about picking out the stones to put together the tower. 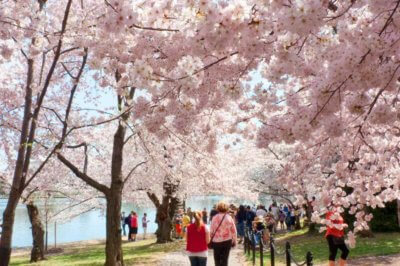 If you look closely, they’re not all cut the same and carry beautiful design elements throughout. She was both architect and artist, a big accomplishment for a woman of her time. I think she and those who put it all together did an amazing job, and it’s really cool that a structure such as this can be around for people to enjoy, instead of a simple, plain modern building. 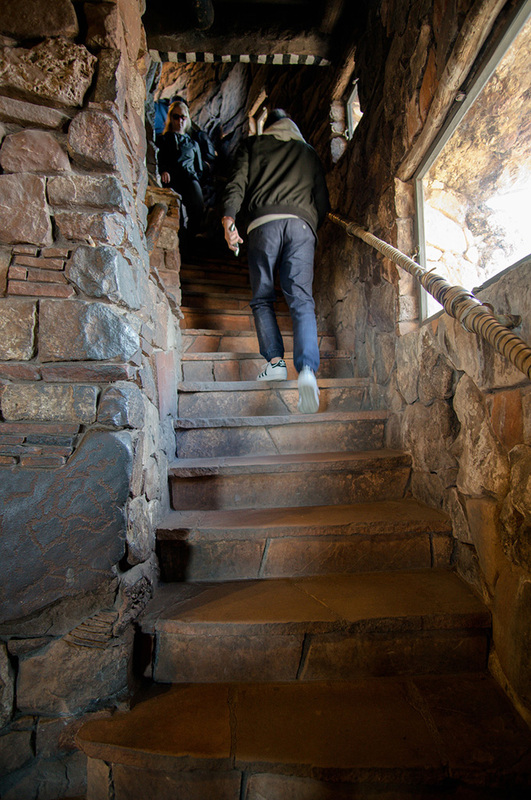 Entering inside the tower, we found ourselves in a big circular room, with flagstone flooring, a wooden ceiling(which I later read were part of the original log beams from the old Grandview Hotel), a big fireplace against the wall, and windows with stunning views of the canyon all around. There was a gift shop adjacent, and a ladder in the middle of the room. 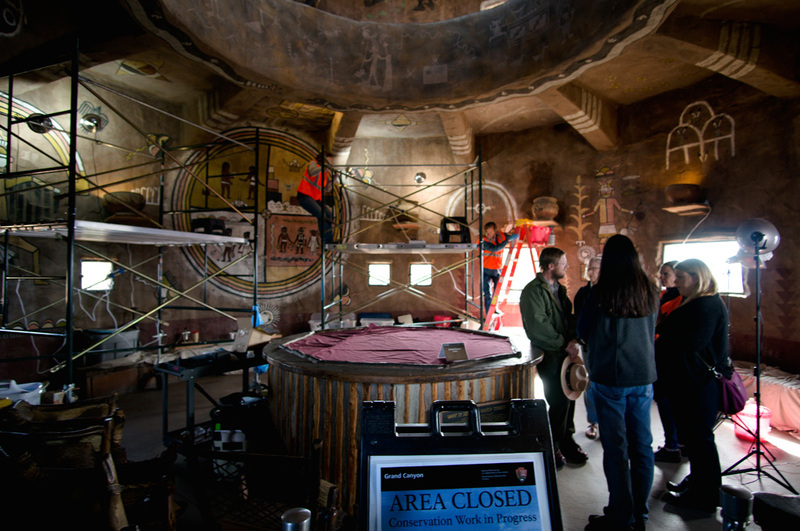 I was told that this is called the “Kiva” room. 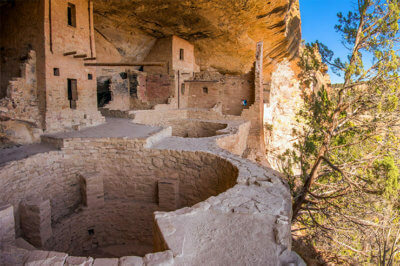 A Kiva was a round room or building used for religious purposes or meetings among the Ancestral Puebloans. 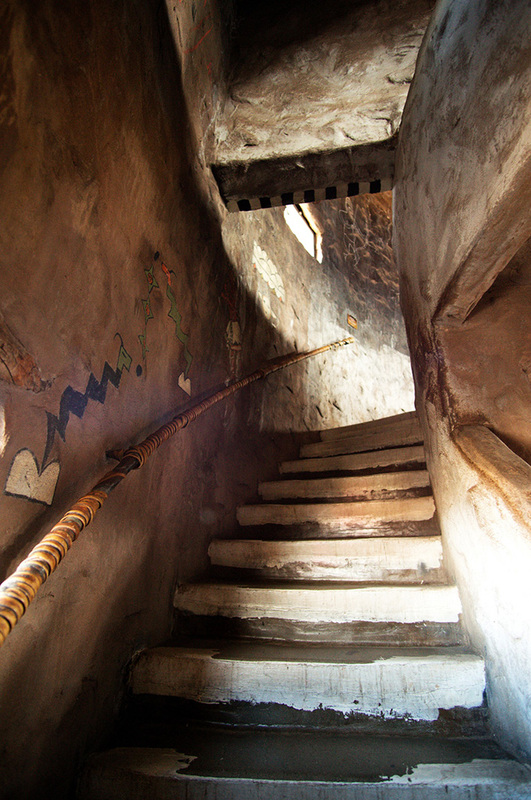 We walked across the room and headed up the small narrow staircase in the corner. It lead to the main tower part, where there were 3 stories, the first being an open room that was under reconstruction. So as this picture below shows, full of scaffolding and people at work. 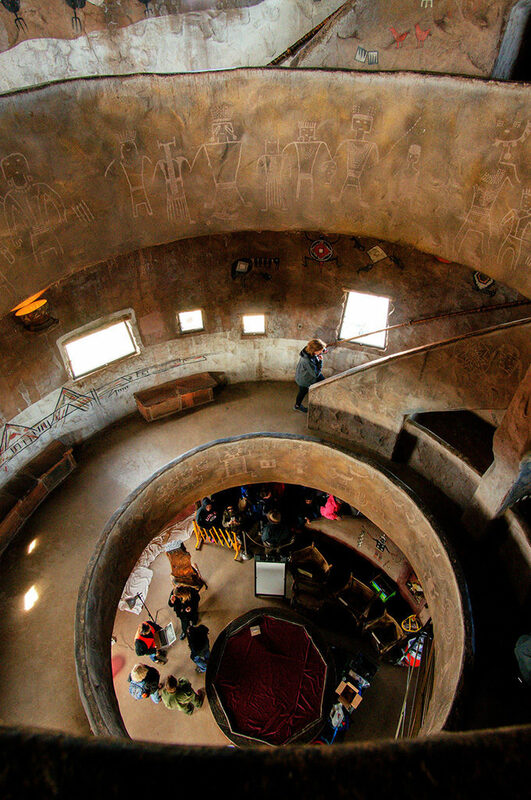 The native paintings on the walls were done by Hopi artist, Fred Kabotie, and work on the walls and ceilings on the 2nd and 3rd floors by Fred Geary. The paintings and symbols have actual real meaning to them, they’re not just painted haphazardly on the walls. More Stairs going up. There were murals painted all along the walls. 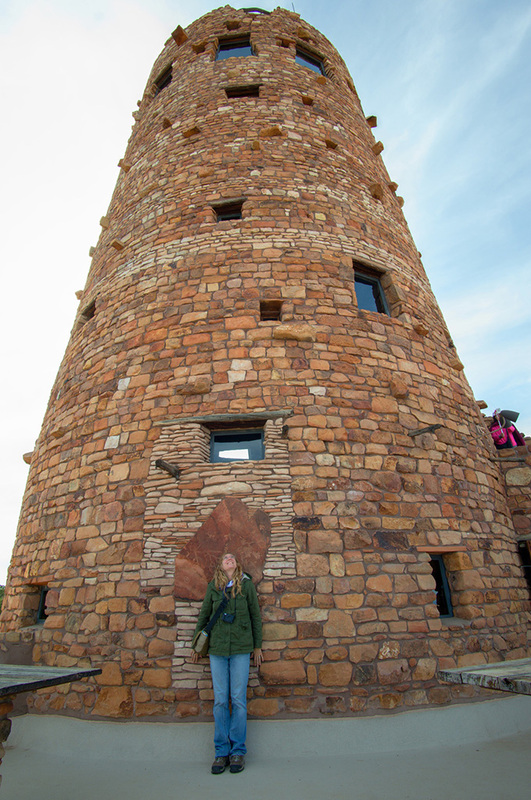 There were walkways around each floor in the tower, with windows circling around. One of the many beautiful views from the windows in the tower. Looking down from an upper floor. 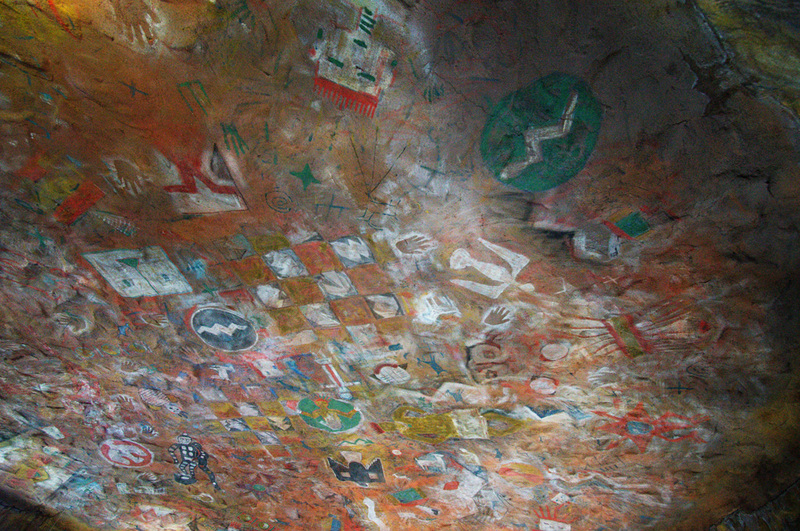 Paintings on the ceiling by Fred Geary. On the one floor, is an exit to the outside observation platform. The pictures say more than I can ever write about this place. 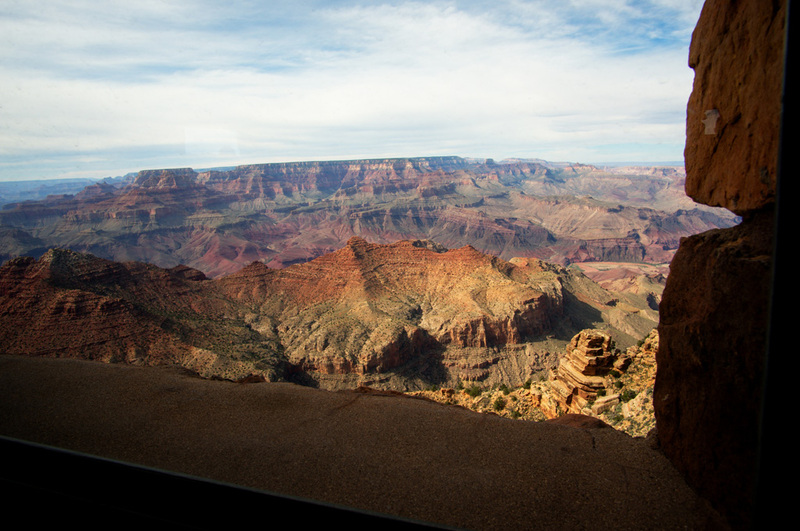 The Grand Canyon has AMAZING views, no matter where you stop to look! 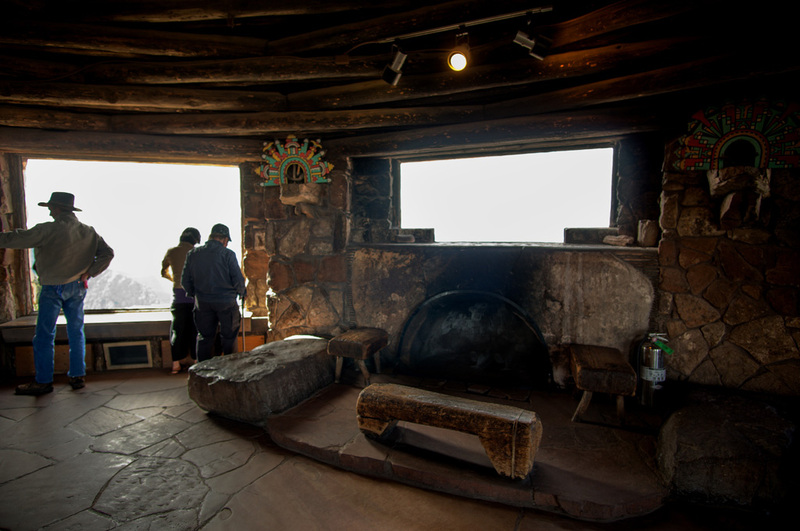 Panorama of the observation deck with magnificent views!